Surrounded by family members of people lost to gun violence and the lawmakers who successfully passed the measure in a hard-fought and multi-year battle, Colorado Gov. 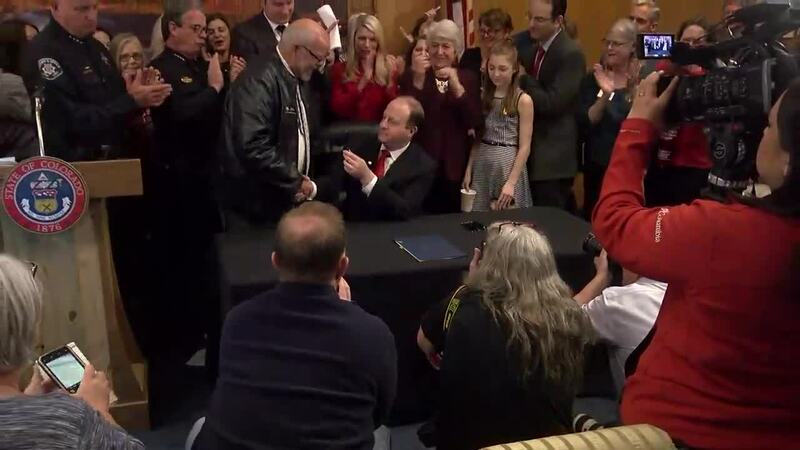 Jared Polis on Friday signed the “red flag” extreme risk protection order that he and proponents guaranteed will save lives in the Centennial State. DENVER – Surrounded by family members of people lost to gun violence and the lawmakers who successfully passed the measure in a hard-fought and multi-year battle, Colorado Gov. 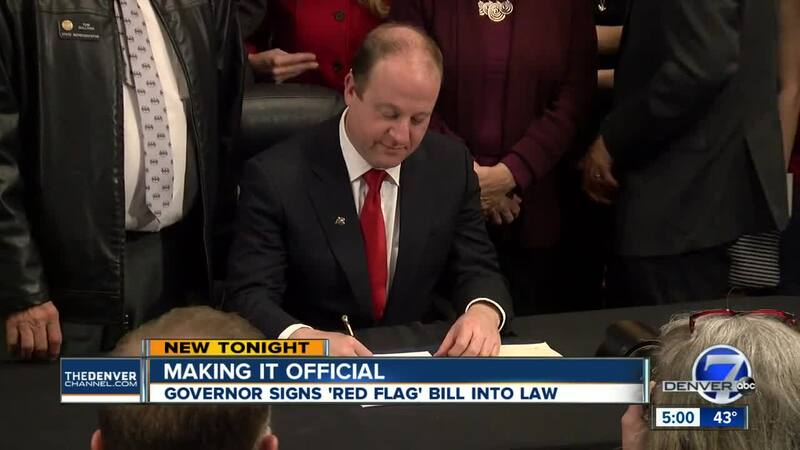 Jared Polis on Friday signed the “red flag” extreme risk protection order bill that he and proponents guaranteed will save lives in the Centennial State. The Deputy Zackari Parrish III Violence Protection Act will officially go into law on Jan. 1, 2020, which is also the deadline law enforcement agencies statewide will have to adopt either model policies and procedures that are in the works or their own. The law will allow a judge to order that a person’s firearms be confiscated if they are deemed a risk to themselves or others. The request for a protection order would come from law enforcement or family members. A judge could place a temporary order for up to two weeks on the person until it is decided at a hearing whether a full protection order is necessary. A full protection order could be approved for up to 364 days. 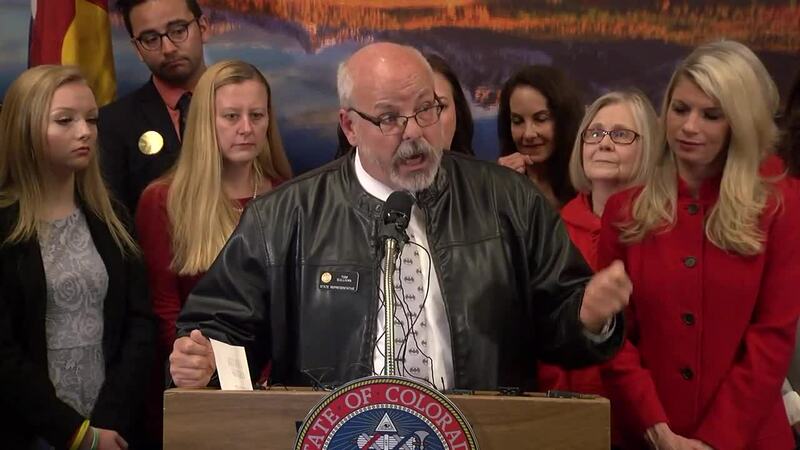 Polis called the bill – sponsored by House Majority Leader Alec Garnett, D-Denver; Rep. Tom Sullivan, D-Centennial; Sen. Lois Court, D-Denver; and Sen. Brittany Pettersen, D-Lakewood – a “critical tool” to reduce gun violence and said the measure was in line with Americans’ Second Amendment rights. Colorado will become at least the 15th state with an extreme risk protection order law on the books. Polis said Friday that he expected Colorado’s red flag law to be used about 100 or 150 times per year, as they have been in other states with similar laws. Polis said that be a “targeted approach” to enforcement. And he brushed off, as the bill’s sponsors and supporters would also, the calls for recalls made by some Republicans and opponents of the measure, and claims that it was unconstitutional. “These kind of issues, when it comes to our rights and mental health and safety, these aren’t partisan issues,” Polis said. He thanked the bill’s sponsors, the families who had spoken up during the legislative process about their experiences with gun violence, and the law enforcement officers who have worked on the measure. Douglas County Sheriff Tony Spurlock, who has been the most vocal law enforcement officer supporting the measure, and Boulder County Sheriff Joe Pelle both spoke in favor of the bill’s signing Friday as well. Spurlock discussed how supportive Parrish’s parents were of the measure, which Spurlock began pushing for last year after Parrish was shot and killed on New Year’s Eve 2017 by a man whom the department knew had a history of mental health issues and several weapons. Sheriff Pelle’s son, Jeff, was also shot during the New Year’s Eve incident. “Why would we not want to have this tool to help make weapons unavailable for this person until they are healthy,” he said in discussing the measure. Pelle said he and Spurlock would be working with more than a dozen police chiefs and the attorney general’s office on creating the model policies and procedures regarding the acceptance, storage and return of firearms to people who have them taken away. Those model policies and procedures will have to be finalized by Dec. 1 of this year. He said they were already looking at the policies in place in Washington state and California, among other states. “This can be done safely. It can be done intelligently. We can have policies and procedures in place that guide us. And we can be patient, we can wait for the correct opportunities, and we can do this without putting our deputies and police officers at extreme harm, as well, if we do it correctly,” Pelle said. Pettersen and Garnett thanked stakeholders for their yearslong work on gun violence bills and two years of working on the extreme risk protection order. But both lamented the lobbying against the measure, which they said was misguided. More than 36 counties and towns or cities have passed resolutions as of Friday in opposition to the red flag measure or declared themselves “Second Amendment sanctuaries” in an effort to stave off the law . Most of the sheriffs or county commissions have passed such declarations or resolutions in protest, saying the measure is unconstitutional. Denver and Aurora’s police unions have also said they oppose the measure. Weld County Sheriff Steve Reams has said he will go to jail before he enforces the measure. The Weld County Board of Commissioners issued a statement Friday sticking to the message that the bill is unconstitutional. It said it would be meeting with attorneys to conduct a legal review of the measure. But Pettersen said those calling the measure was illegal were wrong. “We did it,” Garnett told Sullivan in an emotional exchange. It was the 351st Friday since his son, Alex, was murdered in the Aurora theater shooting, Sullivan said. “So as happy as I am that all of this has happened today, and knowing that this is going to save lives, and the state of Colorado will be better because of all of the work that we’ve all done, it’s difficult for me to just be able to grasp that and to be able to enjoy that,” he added. “Let’s get this signed and let’s start saving some lives,” he said.